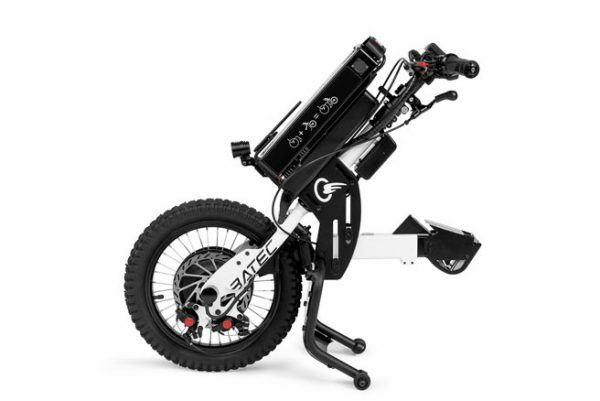 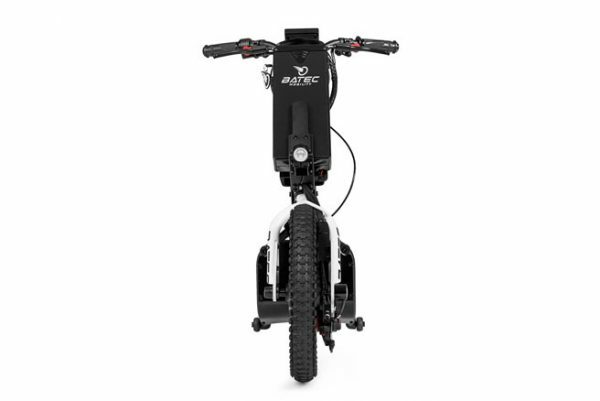 The BATEC MINI add-on handbike saves you time on short daily trips and lets you enjoy your new mobility in urban areas or the countryside, going on long journeys, sightseeing or simply sharing a pleasant stroll. 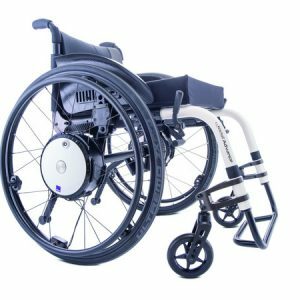 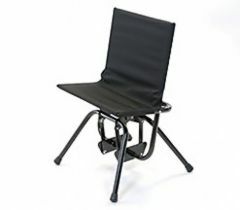 With its design and 16” wheel, the BATEC MINI and manual wheelchair together are extremely compact. 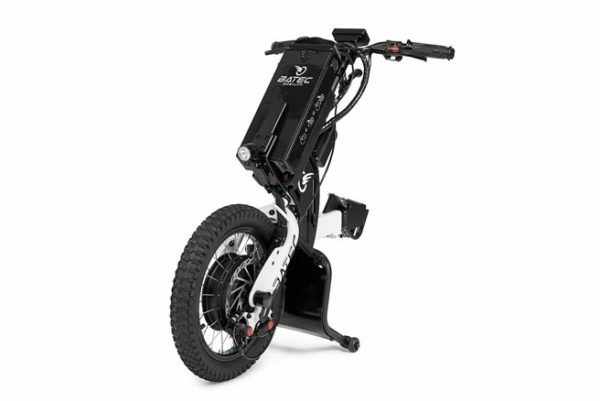 Its smaller size and reverse gear make it unbeatable for getting around with absolute freedom and comfort in tight spaces. The BATEC MINI comes standard with the all-in-one digital display panel, USB port, horn, front light and dual rear lights. 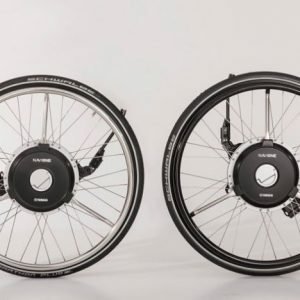 And all while still being able to easily detach the Batec handbike and still enjoy the comfort of your manual wheelchair in some settings, like inside a restaurant or your own home, thanks to our BATEC EASY-FIX anchor system. 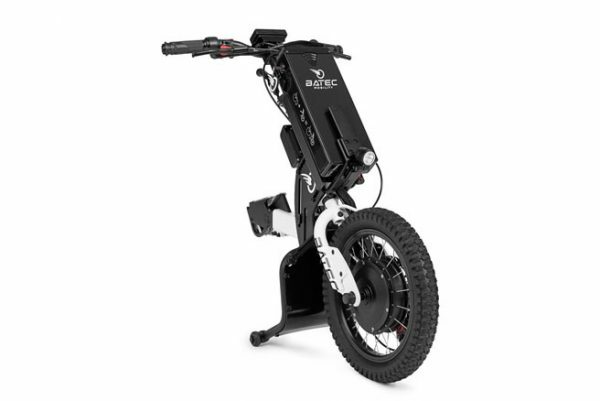 Whenever you want, you can disconnect the Batec add-on handbike in less than the time it takes a person without any disability to get on or off a cycle or motorbike. 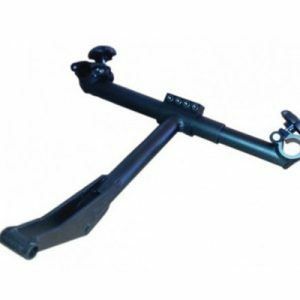 Even users with very severe injuries can attach and detach our handbikes from their wheelchairs without help.